Precision Piping Products™ (P3) designs and manufactures many custom products for our customers to protect critical surfaces from all types of damage while increasing productivity and lowering costs. Our engineering and product development staff listen to our customers’ needs and come up with solutions to the challenges they face. With our versatile equipment and can do attitude, P3 can respond to the needs of our clients faster than anyone in the industry. Even our flangeDOTS®, which we developed in 2013, began as a custom solution to a customer’s problem. Let us help you solve your next process or production challenge. Located in North West Houston Texas Piping Products & Protection is what we do!!! P3 can take the same blast material we use for our flangeDOTS® and cut almost any size or shape. From blast guards to cover your engraved information plates on your equipment to custom hex nut protection, P3 can even increase the thickness of this product to accommodate extreme blast and heat conditions. Let us help you guard your products with custom blast and paint products from P3. When you want something a little more ridged than flangeMAGS®, P3 flangeMAGNUM™ may be just what you are looking for. Rigid like P3 flangeBUMPER® but held in place with our high strength magnetic material, flangeMAGNUM™ gives you Maximum Magnetic Flange Protection. 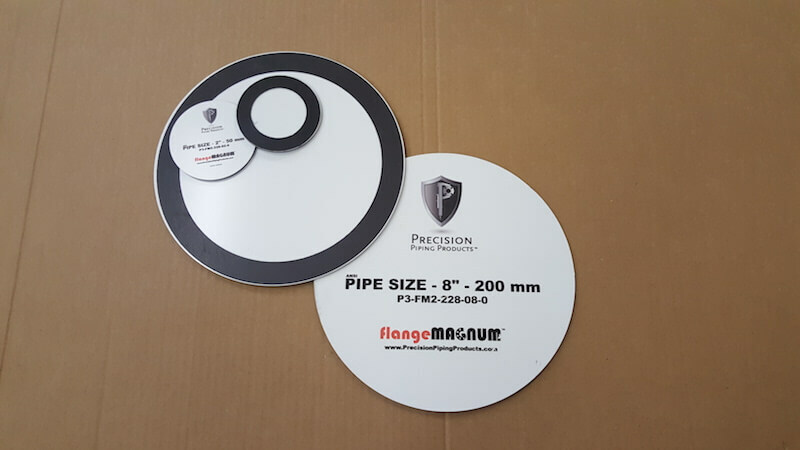 Designed to cover the (RF) or Raised Face surface of your flanges, P3 flangeMAGNUM™ will protect the machined surface area from impact and debris while being removable, replaceable and reusable. P3 pipeDAM™ is your solution to keep welding and grinding debris out of your piping, pipe spools and vessels during welding and fabrication process. They are also designed to serve as a Purge Dam when you are your specialty metal like stainless, Inconel and other non-ferrous metals. 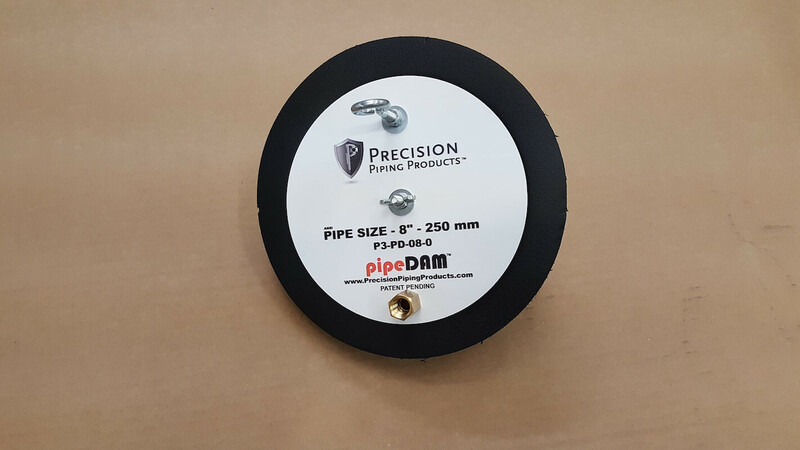 P3 pipeDAM™ made to fit schedule 40-80 pipe and have modular construction that allows for single or multiple layers of our fire resistant closed cell foam. The more layers, the tighter the seal. You can even pig out fluids and debris with the P3 pipeDAM™. Contact us today for a demonstration! It is important to make sure your fabricated pipe saddles are correct before they are welded into place as it is very costly to correct after the fact if they are not. P3 pipeTEMPLATES™ are cut to the outside diameter of the pipe allowing you to quickly and easily check your pipe saddles when they arrive from the fabricator. P3 pipeTEMPLATES™ are light weight, easy to store and can be reused over and over. Unlike wood templates they will not warp, split or absorb moisture. P3 pipeTEMPLATES™ have large reinforced handles for ease of use while wearing gloves which are required on most oil and gas jobsites. 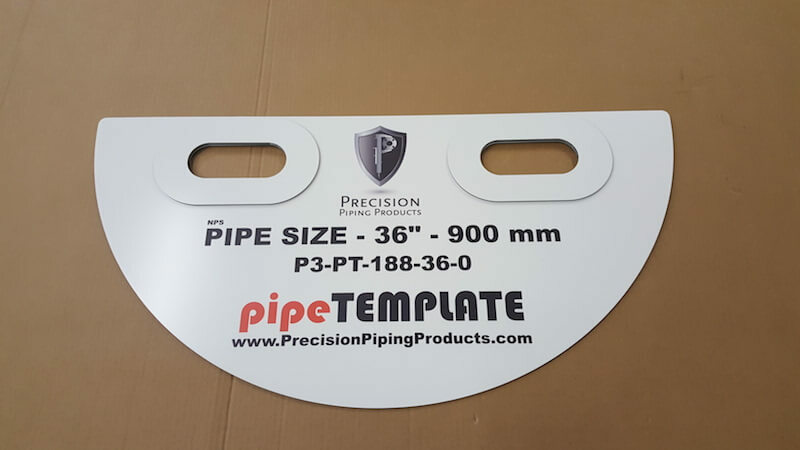 Call us today to get Your P3 pipeTEMPLATE. 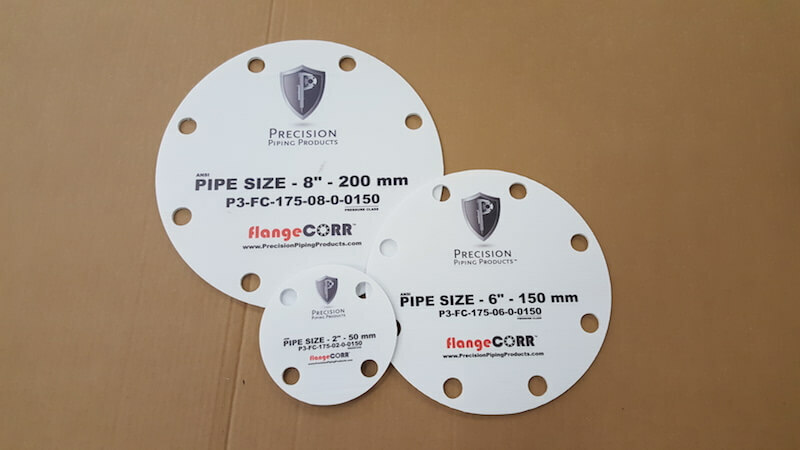 If you are looking for an inexpensive light weight flange cover, P3 flangeCORR™ is the solution. Light weight and easy to install with zip ties, P3 flangeCORR™ will keep foreign objects out of the interior of your pipe spools and vessels, as well as offer minimal impact protection. 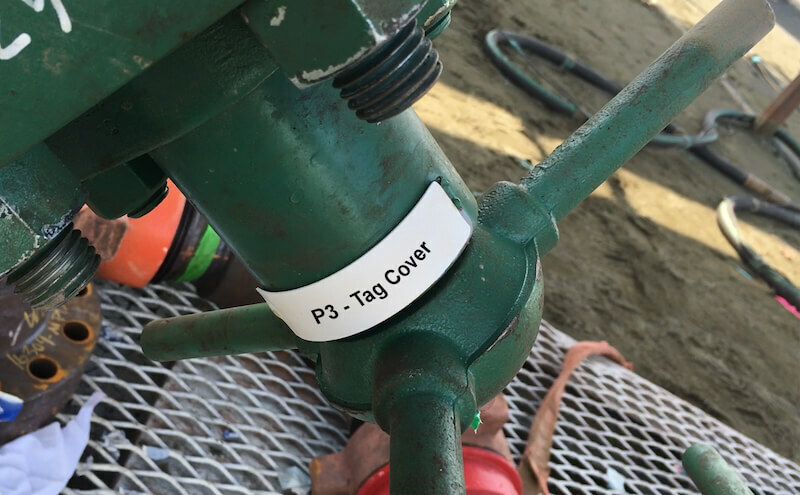 When all you need to do is cover it, P3 flangeCORR™ is the answer.